Zip-Around card games are an engaging way for the whole class to learn and practise new concepts together. Students will have fun as they cooperate in exciting, fast-paced games, that sharpen their skills in maths, build their vocabulary and learn to listen to each other. 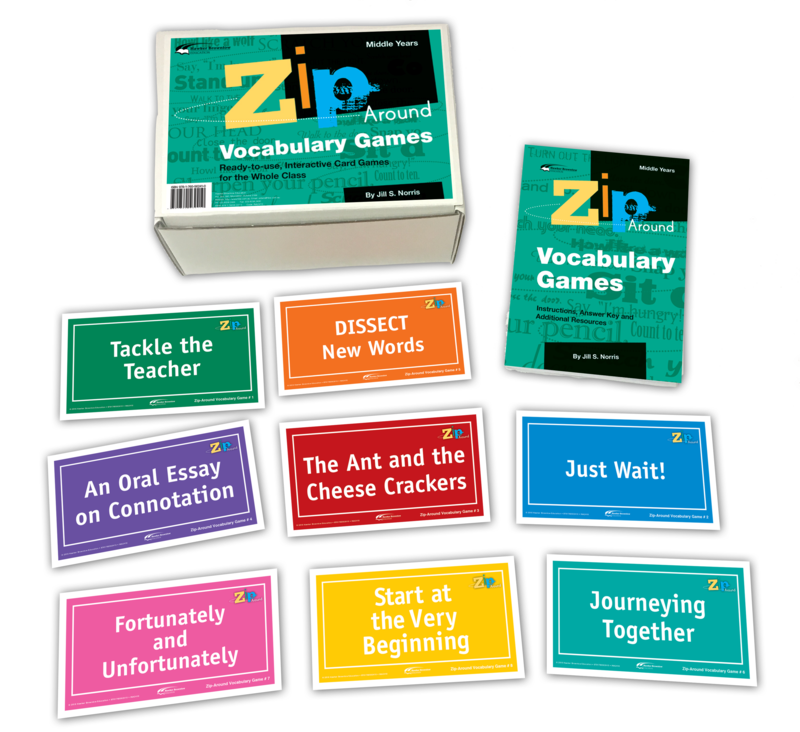 Each Zip-Around set comes with eight individual games as well as a booklet containing game instructions, answer keys and additional reproducible resources for introducing and reinforcing each activity. Encourage active listening (and laughter!) as students sing, stamp their feet and even moo like cows to complete a sequence of tasks together. 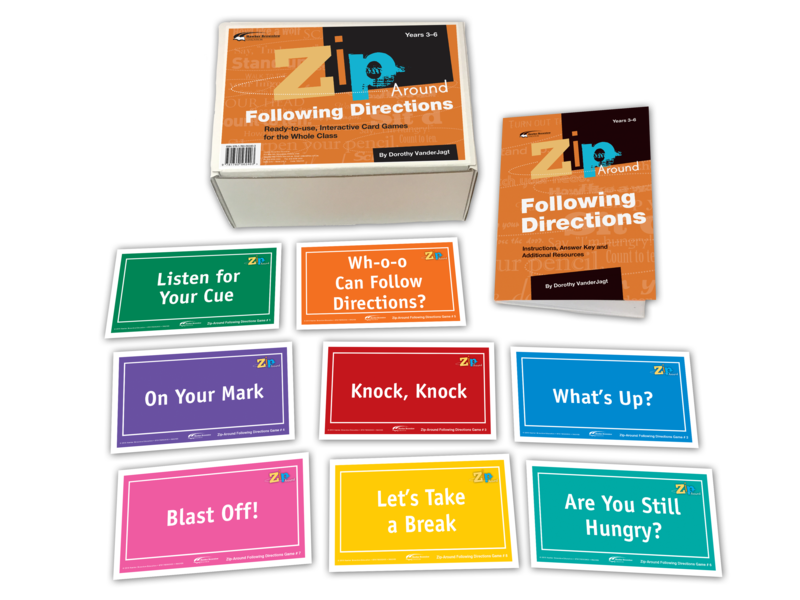 Zip-Around – Following Directions is an exciting way to promote active listening in your primary classroom. Taking only minutes to set up and play, these games are ideal for “tuning-in” exercises at the beginning of a lesson, or simply as a fun way to break up the day while working on important interpersonal skills. Introduce synonyms, metaphors, alliteration and homonyms, and apply effective strategies for learning new words. Tackle the Teacher – Wordplay with homonyms. Just Wait! – Consider the concept of “waiting” in literature and history. The Ant and the Cheese Crackers – An alliterative alphabet story. Plus four more exciting activities! Practise mental multiplication and division, work with fractions and solve worded problems. Who has the Problem? – Identify the problem by matching it with a given answer. Division Warm-up – Mental division, dividing by powers of ten. Give Me Half! – Practise estimation and reading large numbers up to the trillions. 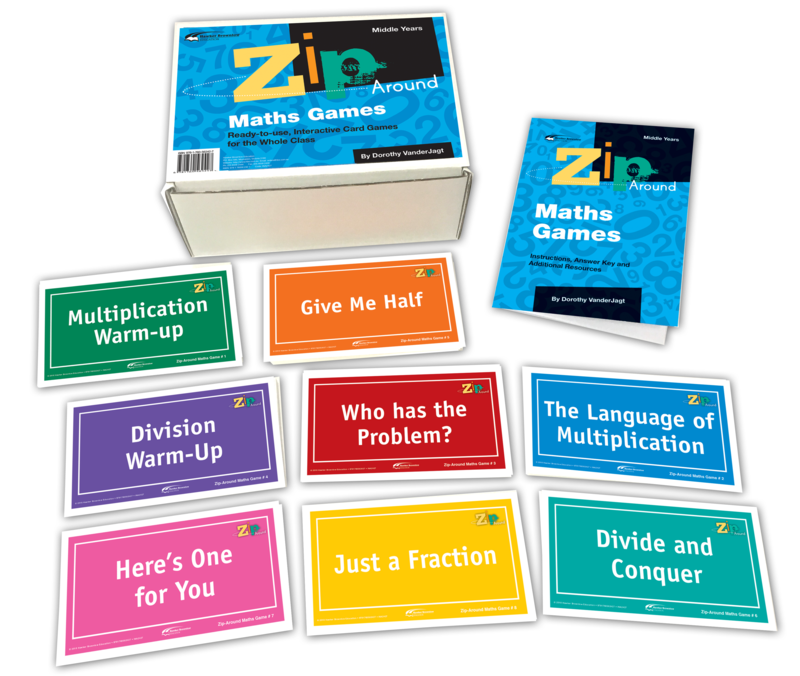 Plus four more activities to build confidence in mathematics!